← HOT & SPICY – Oriental Perfume of the 1001 Nights ..
New FALL & WINTER Skin Care Collection 100% Natural made by ” Loving Hands ” ! PROVENCE & MAROC New Fall- Winter Skin Care Collection Flowers of Provence & Hot Oriental Notes ! Precious Winter Balm ( cocoa butter , Burkina Faso Shea Butter , Tomatoes Oil , Morocco and Carrot Oils ) will protect , nourish your skin !! A UNIC RICH Composition made with the best 100% Natural ingredients , full of Vitamins for the most Exigent Skins ! Its really a MUST to have as well after Sun Exposition ! The best Anti Aging , Anti Wrinkles , restoring your Skin Softness ! 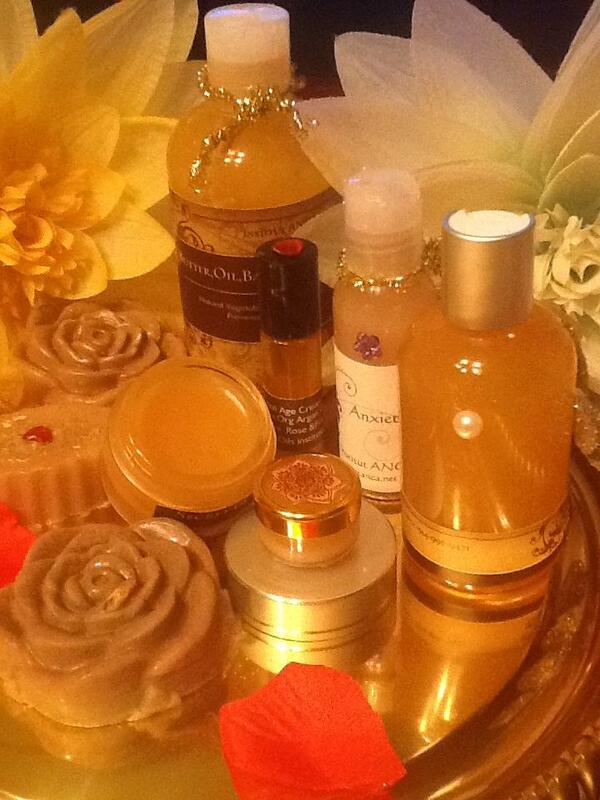 The Body Oils rich in Precious , Essential Oils .. Not only deep nourishing your Skin .. even more , bringing Joy & Wellness ! Natural Pink Clay Soaps perfumed only with pure essential oils , enriched with Almond Oil will delicately clean your Face and Body ! Thank You to Nada Kratohvil for this Special Order .. A Very lovely lady , loyal friend and a Special Customer , who knows and appreciating the Value of Natural Skin Care Products and she Knows and Feel it the Energy , The Magic coming from All ” Made by Loving Hands ” Products !